What is a Marine Recruiting Office? People who wish to get more information about the Marine Corps can visit their local recruiting office. Like all branches of the U.S. military, the Marines use recruiters to persuade people to enlist. A U.S. Marine recruiting office is a place where Marine recruiters sign potential recruits into enlistment. People wishing to gain information on the Marine Corps can visit the recruiting office and speak with a recruiter. They can also obtain pamphlets and booklets describing life in the Marine Corps. The main objective of the Marine recruiting office is to keep the Marine Corps full of new recruits. Like all of the U.S. military services, the Marines utilize a recruiting office to sign new recruits into the Marines. The Marine recruiter is often a local resident who has come back to home and can tell people how the Marine Corps has benefited his or her life. The Marine recruiting office has marketing material that portrays the life of a marine as glamorous and heroic. There are movies that the potential recruit can watch to see how the Marines will make him or her a better person. Once a civilian enters the Marine recruiting office and expresses wishes to become a U.S. Marine, the recruiting officer will arrange for the civilian to be tested. These tests will determine a potential recruit's fitness for service with the Marine Corps as well as which type of job the recruit would best fit into. While Marines are always a rifleman first, the recruit will also have to be trained in a specialized job, such as mechanic or cook. The recruit will be given the dates for departure to Marine boot camp at the Marine recruiting office. The recruiter can provide information to the recruit of what items to bring and which items not to bring to boot camp. In most cases, the recruiting officer is available to also speak with the recruit's family and explain the process. The Marine recruiting office can answer any question that a family member might have and will be more than happy to do so. Keeping the recruit's family happy is a great way to keep the recruit interested in joining the Marines. Many times the recruiter will set the recruit up to return to the Marine recruiting office for a period of time to help enlist more recruits. He will speak to his friends and even students at his high school. This is a practice which draws new recruits into the service. By hearing how one of their own has adapted and is enjoying being a Marine, more may enlist. What Are the Different Types of Marine Corps Enlistment? 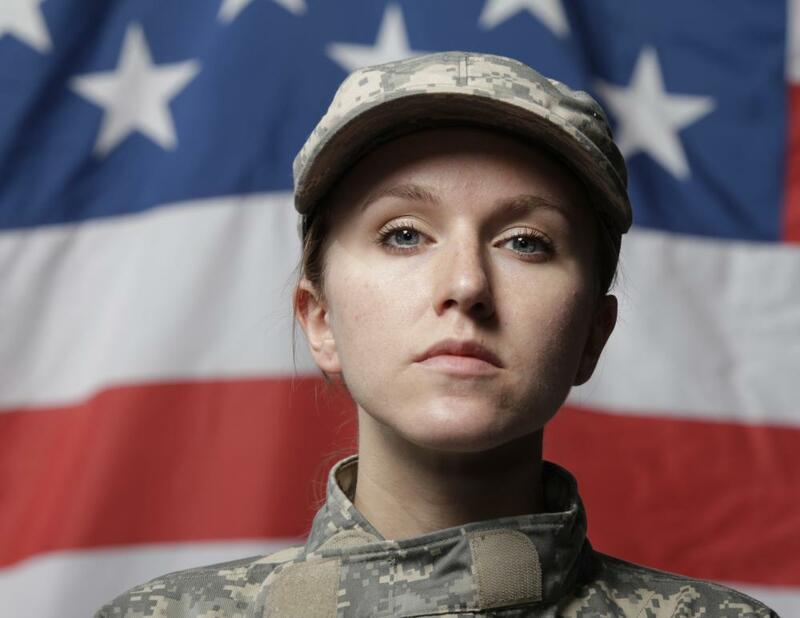 What is the Required Enlistment Age? What are the Different Types of Marine Benefits? What are the Different Marine Corps Officer Jobs? What is the Marines Delayed Entry Program? What is Marine Corps Boot Camp? @TreeMan - I would guess that they wouldn't have a problem with you just showing up. It might be best, though, to get in touch with a recruiter first, just so they know to expect you. If you go to the Marine Corp website, there is a link to contact a local recruiter. You can find offices listed online, too. I would be interested in the officer recruitment question, too. At least in my experience, most recruiting officers are sergeants, not officers, so I'm not sure how that would work. I'm sure they could point you in the right direction, though. As for bonuses, I'm sure they get some type of reward or they wouldn't be so motivated to get people to join. I don't know if it is based off of total number of recruits joined or success of the recruits or both. If you are someone interested in possibly joining the Marine Corps, how do you go about finding a recruiting office and expressing your interest? Can you just show up at the recruiting office, or do you have to call ahead before you show up? When you are there, what should you expect? What kind of pressure is put on you to join? Also, out of curiosity, do recruiting offices handle people interested in becoming officers, or only people looking to be enlisted individuals? Do the recruiters get any sorts of bonuses or commissions based on how many people they are able to recruit? @jcraig - I would have to agree. I would note, too, that if you do join the Marines, you have a certain commitment. I think it is usually two years at first. Even if you can't pass the Marine Corps boot camp, they still find jobs for you to do around the base. When I was in high school, I took the ASVAB, which is the test to decide what jobs you would be most suited for in the military. After I took it, I had recruiters from all the different branches who started contacting me. Marine recruiters even showed up unexpected at my house and tried to convince me to join. They got me to visit the Marine recruiter office, and I almost joined. I finally decided it wasn't what I really wanted to do. I am torn on some of the Marine recruiting practices. I guess most of these things apply to all the branches, though, not just the Marines. Obviously, it is important to make sure the military has new recruits, but sometimes the people that are recruited might not be going into the Marines for the right purpose. I know when I was in high school, there were a lot of people who were set on joining the military, but there were a lot of other people who seemed to get more convinced into joining. The recruiters are very good at understanding the demographics of who typically joins the Marines or other branches and specifically targeting those groups. Joining the Marines can be a great thing if that is what you really want to do, but sometimes I think the recruiting officers can be too persuasive.